We are inspired by the spiritual beliefs and Little Way of St. Theresa of Lisieux to strive for personal excellence as life-long learners within our Christ-centred Catholic school community. This statement is intended to be the ideal towards which all of our efforts will be directed and against which all of our actions will be measured. 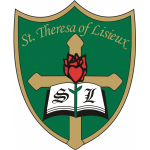 St. Theresa of Lisieux Catholic High School is a distinguished Catholic school which prides itself on the achievements of its students and staff and its adherence to a special mission. Visions of the Catholic school graduate are contained in many writings by Ontario Catholic educators and leaders, past and present. One of the most compelling in its breadth and depth is to be found in a tract published by the Institute for Catholic Education. Distinctive expectations for graduates of Catholic schools are determined and shaped by the visions and destiny of the human person emerging from our faith tradition. This Christian anthropology, or world view, reveals the dignity and value of the person. Our tradition tells us that God creatively and lovingly calls each of us into the wonder of life, sustaining us by the power of the Holy Spirit, throughout the human journey, into life eternal. We acknowledge that the journey includes moments of brokenness and sin. We recognize in the person of Jesus, the risen Christ, the human face of God sharing our life in order to heal us of our brokenness and liberate us from sin. This Christian vision of the human journey is best understood within the context of relationship. It is accomplished in community, in solidarity with brothers and sisters, in the Church and beyond.